Designed to resist high G-forces using powerful motors and IMUs, the Ronin-MX is engineered to maintain stability and hold horizon whenmounted to an aircraft or a vehicle. 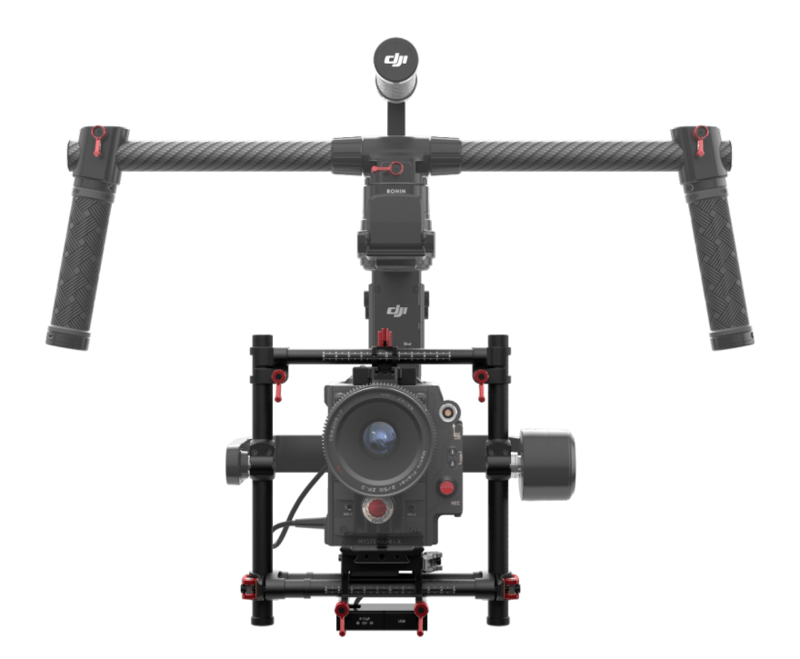 When mounted to the M600 aerial system, it communicates directly with DJI’s flight controlle, allowing it to stabilize actively for a smoother shot. A wireless 2.4GHz remote controller is included with the Ronin-M enabling a 2nd operator to remotely control pan, tilt, roll, and other functions. By using the optional Lightbridge 2 Remote Controller, you have long range control of the Ronin-MX up to 3.1 miles (5km). Save time and start shooting professionally stabilized video in under five minutes. Mount your camera to the Ronin-MX, quickly balance it, and then tap a button. The upgraded ATS (Auto Tune Stability) technology is more precise than before and completes the tuning and balancing processes with no tools necessary. 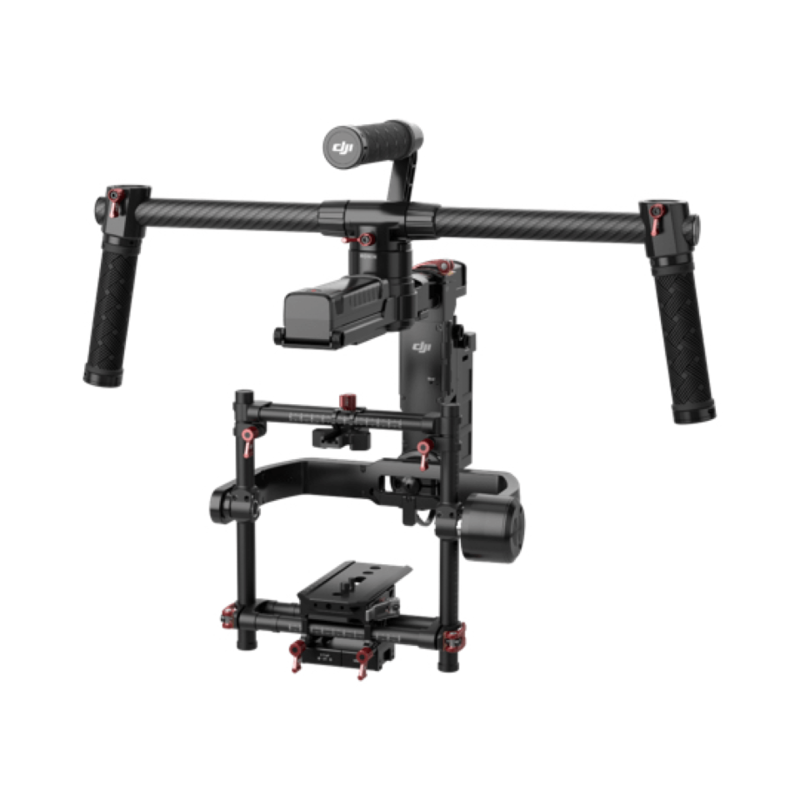 Even with only one operator, SmoothTrack™ technology ensures the Ronin-MX translates movements into smooth camera angle changes. SmoothTrack™ settings from speed to deadband to acceleration are fully customizable. A ‘Single Axis Follow Mode’ enables two axis to be locked while SmoothTrack™ guides the camera along only one axis of motion. Three modes of operation, found on all Ronin series products, make the Ronin-MX a powerfully flexible camera stabilization system. Underslung Mode is the most common shooting mode, with the Ronin-MX held in front of the user. Upright Mode reverses Underslung Mode and puts the camera higher up making it ideal for raised shots above people or through sunroofs. Briefcase Mode makes it a narrow platform that fits easily through narrow hallways and doors.